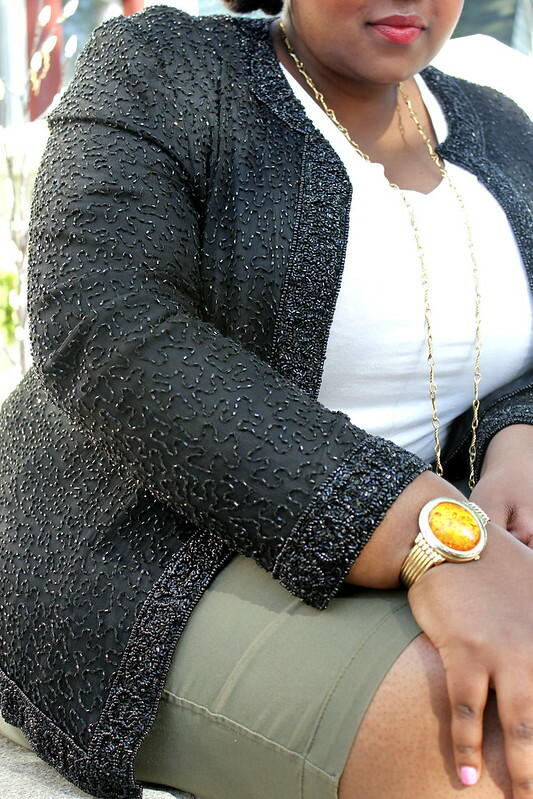 Who needs a plain black jacket when you can have a gorgeous vintage beaded jacket instead?? Ok ok ok of course a black jacket is needed but aside from the norm a stunning beaded jacket like this is hard to come by and look so fashionable. I've been looking for one for quite sometime. Its an easy wear that can complete a casual attire or up a dressy look. I chose casual this time around. I just love the way it shines when the sun beams on it. You really get to see the details of the artistry in it. For that reason alone I couldn't let it go when I saw it for the first time. 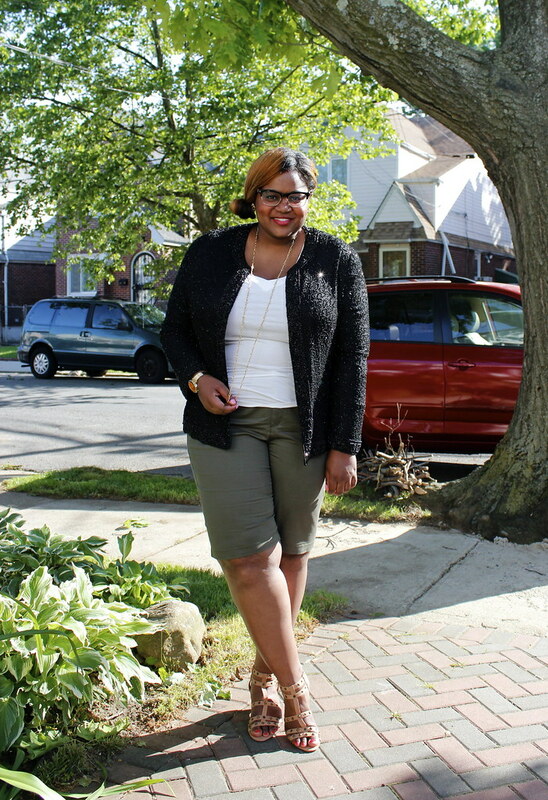 I like how you dressed up your bermuda shorts with this darling jacket! 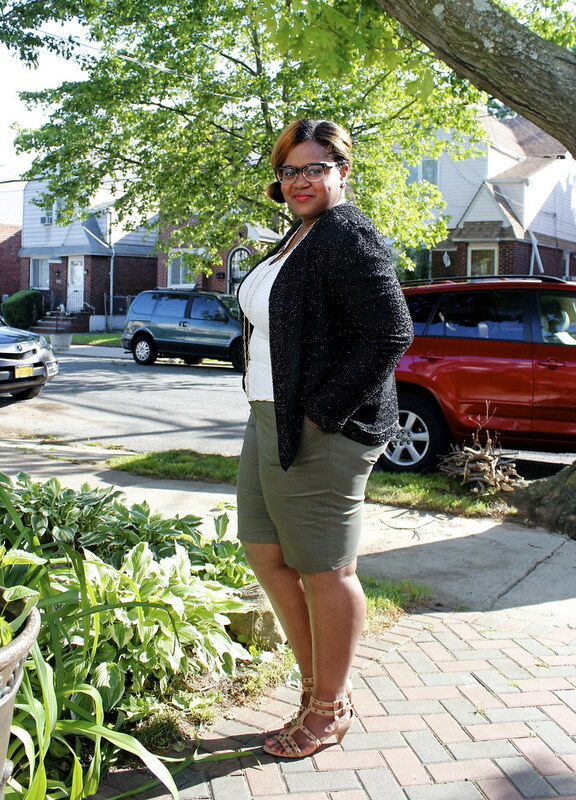 @grownandcurvywoman. Thank you. Both are my new favorite things! Loved your bright color Bermuda shorts too!